Are you unhappy with your facial appearance? As we age, the skin loses elasticity and begins to sag, causing wrinkles and folds that can make us appear much older than our age. For many patients, it is incredibly frustrating to look in the mirror, and see a face that looks much older than we feel on the inside. At Elsa Raskin, MD in Greenwich, CT, we offer facial fillers and injectables to combat worn out skin. Injectables that use botulinum toxin type A, which relaxes the facial muscles that cause lines and wrinkles. Injectables that use dermal fillers which plump out the skin, reducing sagging and deep set lines and folds. How long the results of injectables last will vary from patient to patient and the treatment. However, injectables still tend to be a lower-cost and less drastic solution than full cosmetic surgery. Before you can be approved for any treatment, it will be necessary for you to attend a comprehensive consultation with Dr. Raskin. At this appointment, Dr. Raskin will ask you for detailed information about your health, general wellbeing and lifestyle, as well performing an assessment of your face and skin. This will help us determine which type of injectable will provide the best solution to achieve your goals. There are many different brands of injectables available in today’s cosmetic surgery market. Dr. Raskin is pleased to offer the following injectable cosmetic treatments. Juvéderm® hyaluronic acid facial fillers have been used in more than 16 million treatments around the world. The range has formulations to treat everything from fine lines to deep folds and wrinkles, including Juvéderm® Hydrate™ which helps attract and hold moisture in the skin to restore a healthy, youthful glow in addition to making your skin smoother, softer and more toned. A specific filler within the Juvéderm® range, VOLUMA is the only hyaluronic acid filler FDA-approved to instantly add volume to the cheek area, giving them a plump, youthful appearance and adding definition to the shape of your face. 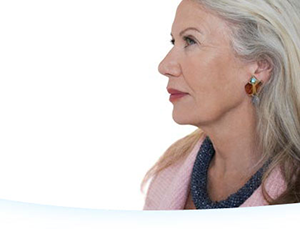 Studies suggest that the results of VOLUMA can be maintained for up to 24 months. Another member of the Juvéderm® family, Volbella is an FDA-approved injection used to increase fullness in the lips and reduce the appearance of marionette lines around the mouth. It is also sometimes used to fill the pits left by acne-scarring. RADIESSE® uses Calcium Hydroxylapatite (CaHA) to plump the skin, replenishing lost volume and stimulating the production of your body’s own natural collagen. It has been approved to mix with lidocaine to significantly reduce any pain felt from the injection, and results have been shown to last a year or more in many patients. BELOTERO® dermal fillers are made of the same volumizing and moisturizing component as your skin, making it a natural choice for reducing the appearance of lines and wrinkles. It also rehydrates, giving the skin a younger, more radiant appearance. Restylane products can help to restore a healthy, youthful appearance by filling lines and wrinkles and adding volume to tired faces. There are a number of different treatments available including Restylane Lyft™, Restylane Defyne™ and Restylane Refyne™. Dr Raskin will be able to help you decide which Restylane product is right for your requirements. Botox® is one of the most well-known injectable solutions to facial ageing. Botox works by targeting one of the underlying causes of lines and wrinkles – the repeated muscle contractions from frowning, smiling, and squinting over the years. The Botox® solution temporarily reduces the activity of these muscles, which will reduce the appearance of the lines. Xeomin® is a neurotoxin similar to Botox® that blocks the release of chemicals that cause muscle contractions in the face, reducing the appearance of lines and wrinkles and helping the face to appear younger and fresher. If you would like to improve reduce the signs of ageing on your face, then injectables could be the solution you are looking for. To find out more about the different options available to you, or to arrange an appointment to assess your candidacy, make an appointment with Dr. Raskin today at 203-889-9100.